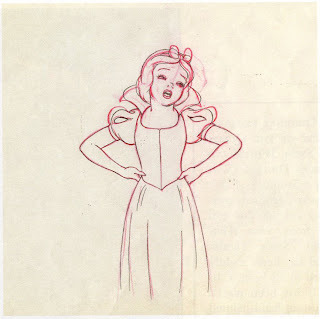 Some of the artwork up for sale on July 29, 2012 at the Profiles in History Animation Auction. Original production cel, trimmed and placed on a new cel. Paired with a color copy background. The entire piece measures 8" x 10" (Snow White’s image is 6" x 6.5"). 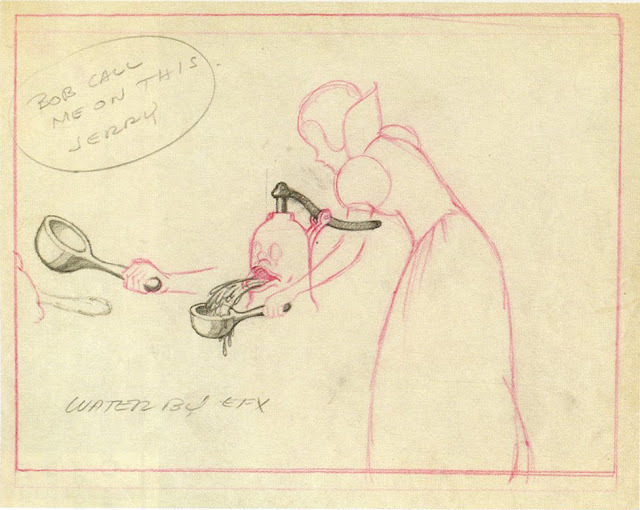 Original pencil storyboard panel. Measures 7.25" x 8.25" (Dark Forest image size 3.5" x 5"). Prepared for sale back in the late 1930s by Courvoisier Galleries. 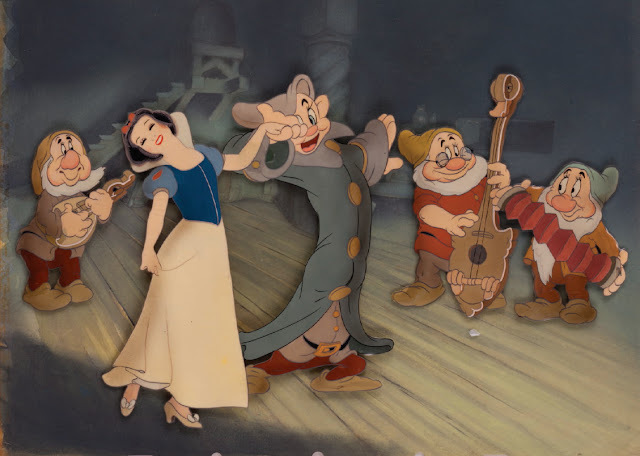 Production cel on airbrushed background. Another by Courvoisier Galleries. 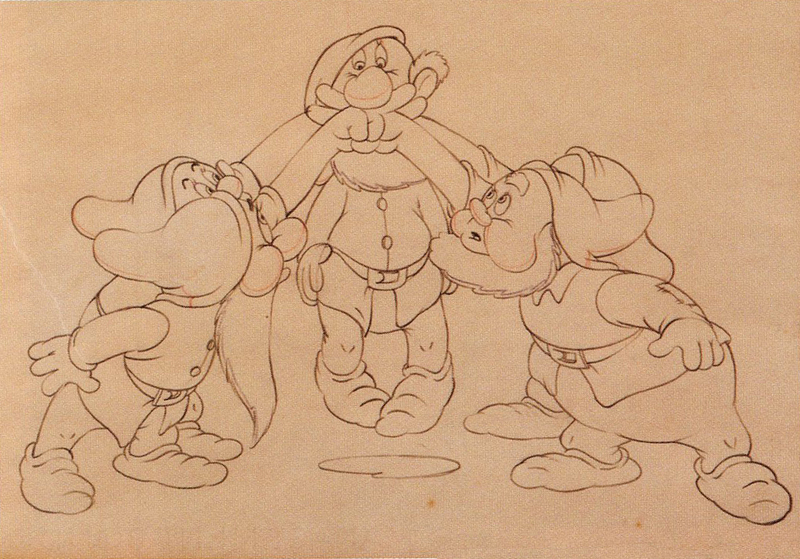 Dwarfs layout drawing and matching production drawing. These two were framed together by Courvoisier Galleries. 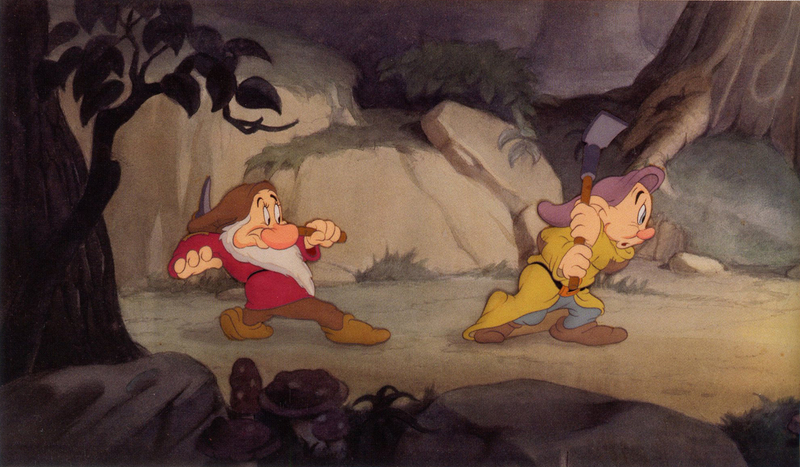 Original production cels of Grumpy and Dopey on a portion of an original pan watercolor background. Meaures 9" x 16". Production layout drawing on the original untrimmed animation paper measuring 10" x 12". 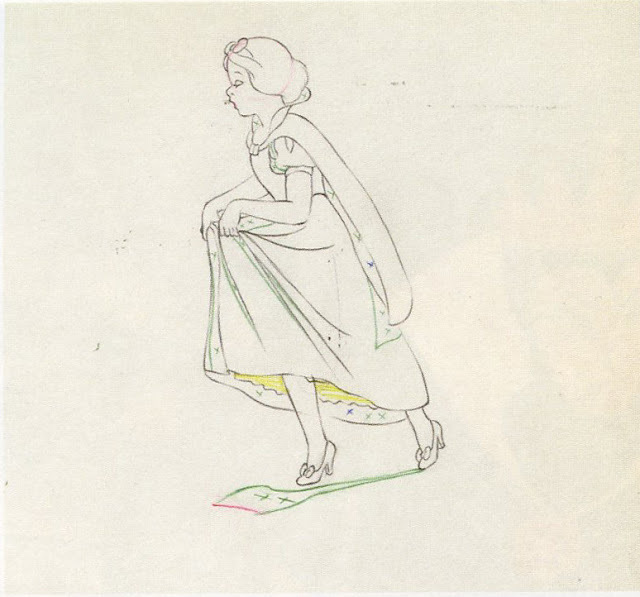 Production drawings on animation paper. 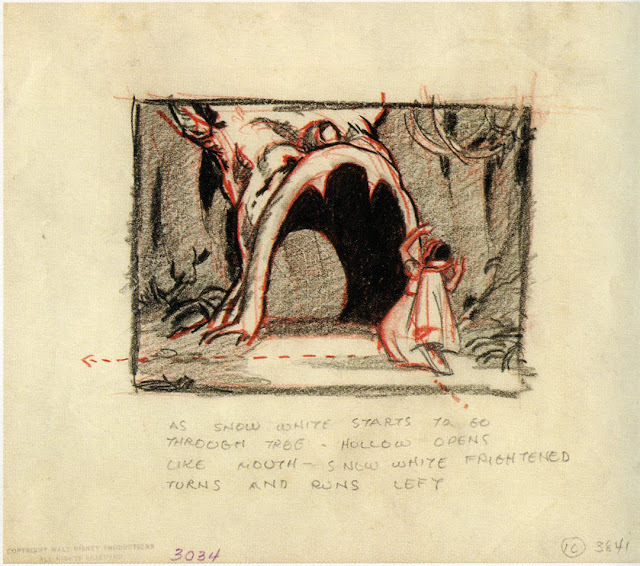 Production drawing by Marc Davis. 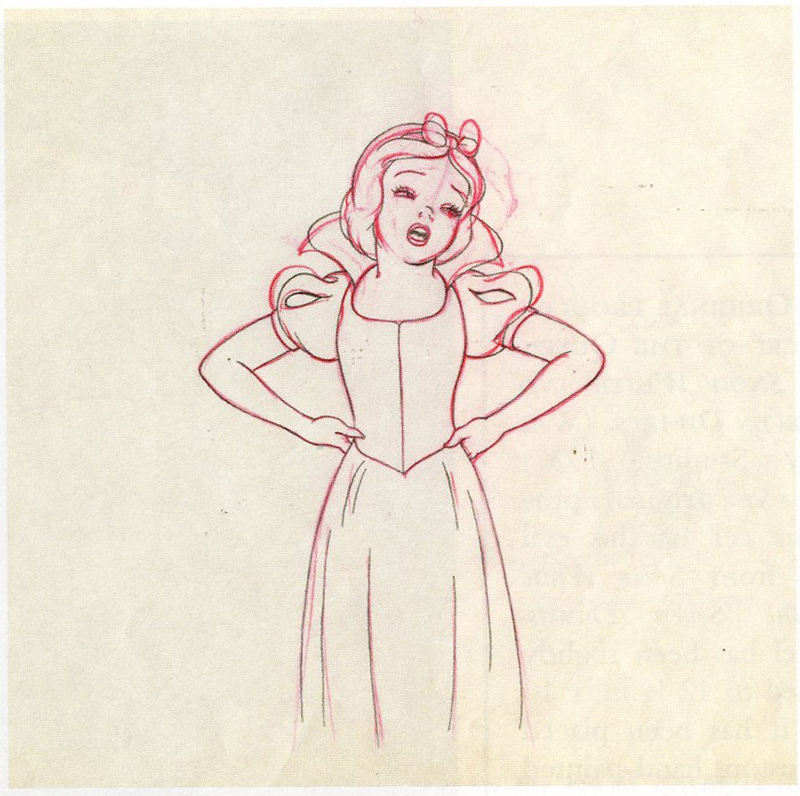 Untrimmed animation paper, 10" x 12". 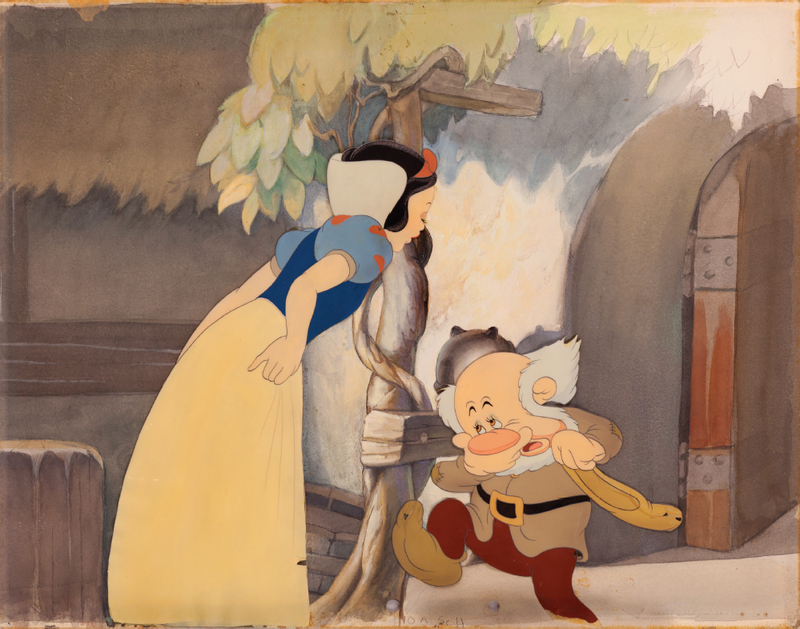 Production cels of Snow White and Sneezy on an original watercolor production background. 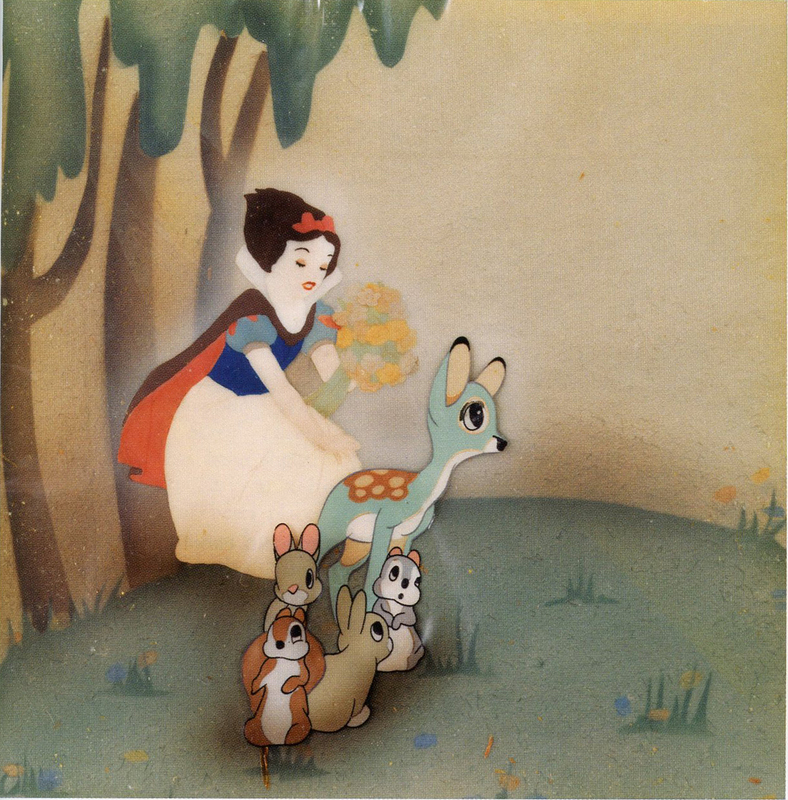 Production cels on original watercolor production background. Images via Profiles in History. 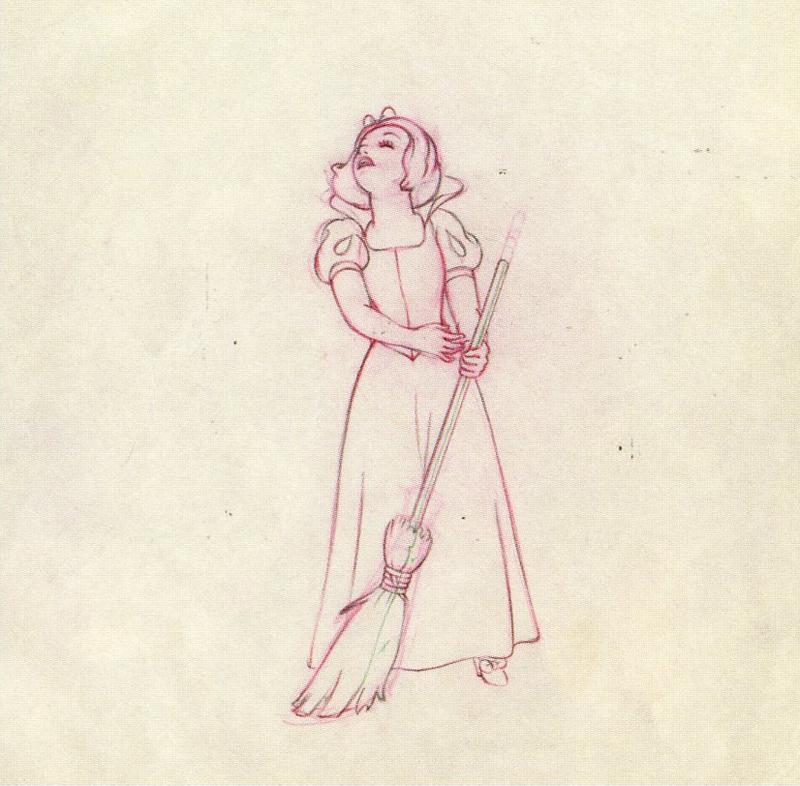 See original production drawings and cels of the Witch and Queen in next post. I like how you notice those little details Sheryl. 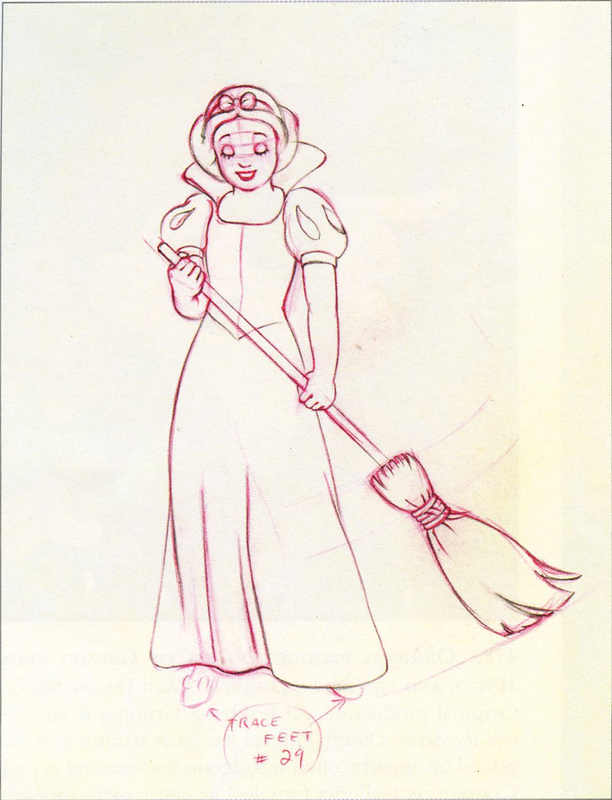 She certainly doesn't look that different. I love these original cels aren't they beautiful? 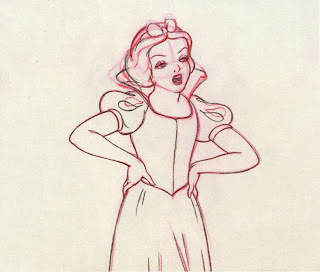 I look forward to seeing the Witch in the next post as she's my favourite Disney Villain along with the Wicked Queen! Can anyone out there answer this please : In the Steven Ison Snow What an art in its making book there is a photograph of an actress dressed as the Wicked Queen seated upon a throne and the book author is unable to identify who she was surely the Disney Archives must know some records must exist somewhere? 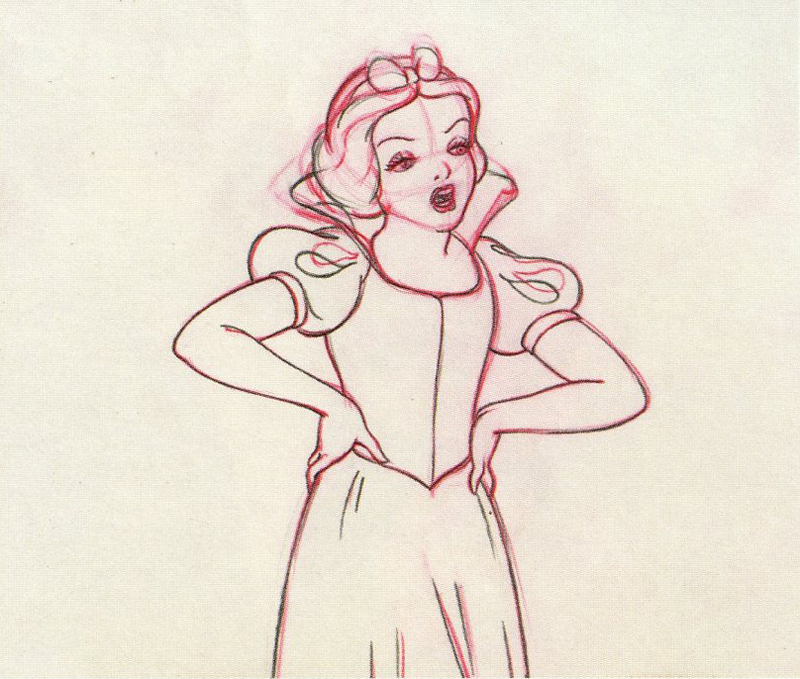 We now know that Marjorie Belcher played Snow White for the Rotoscope camera so someone must know who played her Wicked Stepmother? Good to hear from you Wobble. 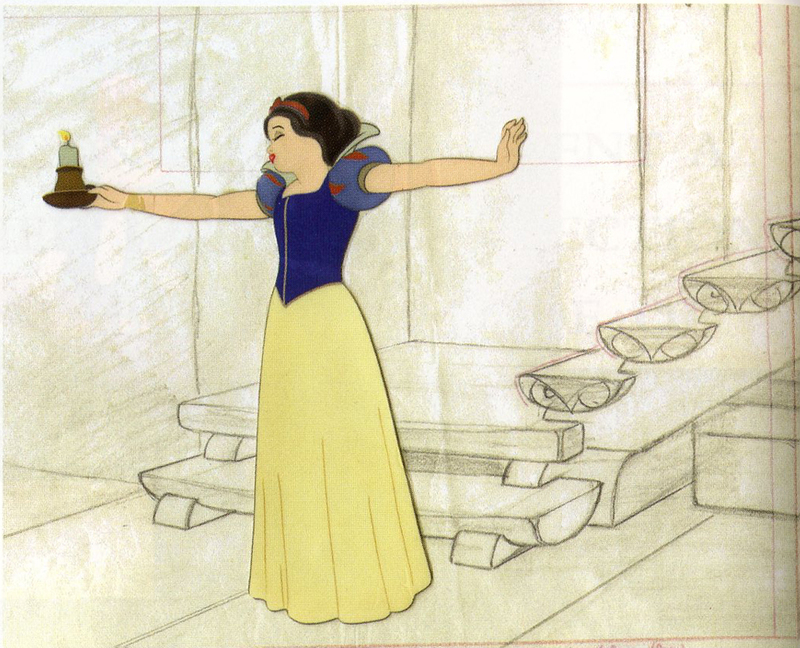 I love looking at original cels, particularly when they are paired with original backgrounds. I will certainly do some inquiries on the Evil Queen model. Port Orleans or Animal Kingdom Lodge?